Many common roadside weeds are more than just a nuisance. They serve an important purpose in a number of aspects. 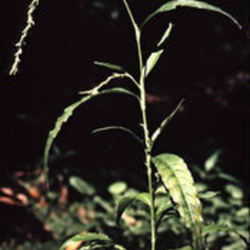 Persicaria pensylvanicum is known as smartweed. It is a common sight in waste areas and in nutrient-poor fields. 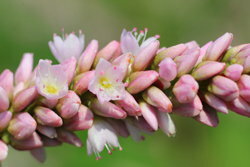 The unique, pale pink flowers bloom most of the summer and into autumn. Gardeners and farmers despise the plant because it produces tons of seed and smartweed is capable of regenerating from every joint along the stem. Smartweed flourishes in areas that have recently flooded or stay damp and the seeds can lay dormant for years before conditions are right to germinate. I've chopped and pulled them from my vegetable garden myself and if even the smallest piece is left on the ground that has a node on it...whammo! A whole new plant quickly takes root. The plants should be removed from your garden and if they are used in a compost pile, make sure that it is hot enough to break them down completely. Flower heads and seeds shouldn't be composted as they are tough enough to withstand all but the hottest piles. This sounds like a horrible nuisance and it gets even better (or worse, depending on your perspective.) The broken stems produce a sap that irritates the skin of some people. Smartweed seems to be a kill-proof plant that causes trouble on a number of levels. What could possibly benefit from its existence? Persicaria pensylvanicum is a member of the buckwheat family and that is one of the reasons it produces so many seeds. These seeds are an important food source for wildlife, especially birds. Many small mammals, waterfowl and shorebirds flock to areas with smartweed colonies. 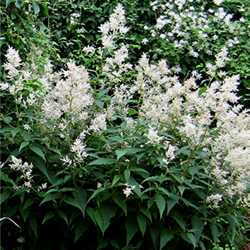 The plants are excellent erosion control and they help purify stagnant water as well. The interesting pink flowers are a magnet for honeybees, pollinators and butterflies. 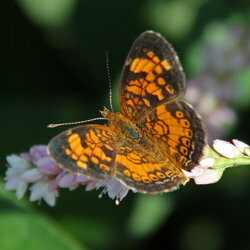 They are nectar and pollen-rich which sustains so many of our winged friends. 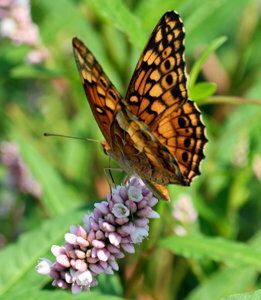 Monarchs even visit the flowers for fuel to the next milkweed stop along their migration. When I was shooting the images for this article, there were no less than 6 species of butterflies, honeybees, bumblebees and pollen-gathering beetles crowding each other for a chance at the food. 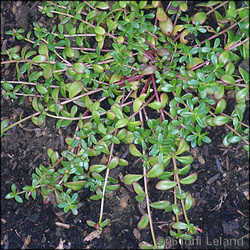 If you have a secluded, damp, sunny spot, let a little smartweed flourish. You'll be surprised at the increase in insects. Depending on the mordant and process, Persicaria pensylvanicum can be used as a natural dye to produce yellow, green or blue tints. This is understandable when you realize that a relative of this plant is the one that produces the iconic indigo color that Japan is so famous for. With just a little research, we can find positive traits in just about any plant that has been tagged a 'weed'. The beneficial properties may be long-forgotten, or other substances proved better at the task, but they were still vital to survival at some point in our history. Wildlife still depend on many of these plants as well. Before you destroy an unwanted plant, please take a minute to think about what it may be sustaining. If it isn't in a high traffic area and doesn't pose a threat to family or pets, let it stay. The birds and butterflies will thank you.